Hola to elcielo! 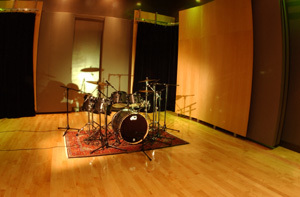 Monterrey Mexico's newest world-class studio where state-of-the art technology meets musician creature comforts. If your recording style requires a combination of vintage and cutting-edge gear and sunny Mexico inspires you, then elcielo (just two hours aways from the Texas border) could be the the new recording destination hot spot for you! 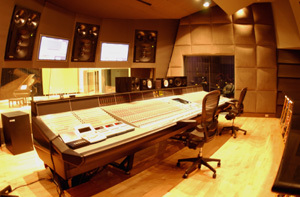 This world-class studio offers an SSL 9000j console with 72 channels and a surround system. The control room is a 842 cu ft (256m3) space with 5.1 design. The main monitors are active Genelec 1035A (L,R,C) and 1038As set up for surround sound. The studio features a 9-foot motorized screen conveniently located in front of the console for film dates. 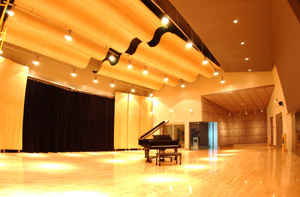 The main studio or the tracking room is a large space big enough for up to 60 piece orchestra. Amply sized ISO booths with different configurations accommodate various acoustic needs. The studio is built from the ground up and designed by architect George Newborn of studio 440. Paul. J Cox and Gerardo Garcia were the systems integrators and the room is tuned by Bob Hodas (Abbey Road, A&M). "When we decided to build the studio, my job was to select and hire the best team for the job and equip the rooms with the world's trusted equipment - both analog and digital. You name it, we have it," says studio manager/tech, Gerardo Garcia. Top qualified staff were recruited to satisfy clients' needs. "We are really committed to give more for less," says studio manager/tech, Gerardo Garcia. 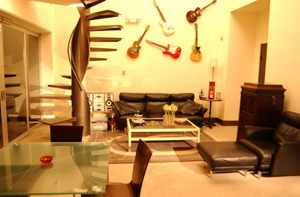 The owner and staff are careful not to let technology overshadow basic musician needs. "Our goal is to enhance your recording experience with the personal attention that musicians deserve," says studio owner, Francisco. "We really focused on the comfort of the client when building the studio. We knew that equipment, technology and installation alone would not do the trick. We are committed with 24-7 service . Small details; big details. We don't see the difference, we just take care of things, so you can make and record music in a very inspirational atmosphere," Lobo said. kitchen, dining room and 24-7chef services . A second lounge includes an entertainment station for DVDs, Cable and Video games on a big screen. The facility also features ample outdoor garden spaces for rest and relaxation. "Our clients are like our family, we are here to take care of them. That's our vision, our philosophy and our way of life," says Lobo.